This story was definitely worth the last minute purchase. I saw a review on Romance Novels in Color and just had to know why it was one of their top reads and now I do. M.J. Kane challenges you dear reader with this story of an interracial couple within the beginning of a romance that pretty much takes both the heroine/hero by surprise. What challenge you ask? She challenges you to not to just think about the normal things that go on within a new budding relationship, but she also challenges you to think about race…about how it can also affect a relationship. The Butterfly Memoirs is a trilogy....a compilation if you will...of stories about three roommates…friends. All of different racial backgrounds. 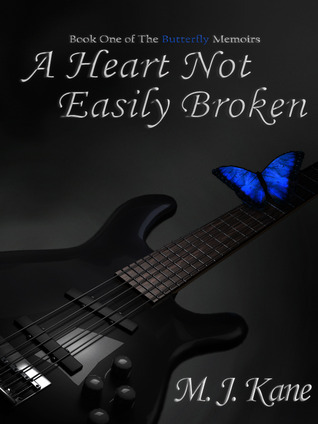 A Heart Not Easily Broken is Ebony’s story. Ebony is as the blurb states…she works and goes to school. She doesn't have time for a full-time romance, but she meets a man who gives her exactly what she craves. He challenges her mind and body…he respects her career choice. He listens and doesn't judge. He is perfect...except he’s white and I mean blond hair, blue eyed white. Brian is the perfect man for Ebony…he is what she is looking for in a man should she want to take their relationship further. But growing up, she was always told that a educated black man is what she needs. Brian…I want a Brian and me personally, I wouldn't care if he was purple with pink polka-dots. But I do get where this author was coming from. I've known friends who were told the same thing…don’t bring no one home who can't use my hair comb...things of that nature. Me…no, my family is very diverse. We have a little bit of everything going on in it. My mom always told me, I don’t care what he looks like, just as long as he make you happy. But it's something to struggle with; constantly thinking what your family will think because you're dating someone outside of your race. Back to Brian. Brian grew up in a liberal family..it never mattered to his family who their son/brother brought home, just as long as the woman he decided to be with treated him right. Brian had issues before when he dated a black woman and it didn't end so well. But it didn't deter him, he wanted Ebony and the man I have to say was very persistent. I liked how M.J switched this a little bit and didn't make it so much as a issue of race on Brian’s side, but more on Ebony’s side. I thought that was key to this story because we always hear how a white person perceives race, but what about black folks..what do we really feel when our sons & daughters are dating outside of the race? Very powerful question. And even though Brian didn't so much care about Ebony’s skin color, he was effected in a way because to her, he was not what she wanted in the beginning (mainly because he was white); so he did have to those little seeds of self doubt. Finally after all is said and done…you would think M.J. would give us our HEA…right? No, she takes us to a place where no woman or couple wants to go. And its painful for both our protagonists…they both have to deal with the consequences of their decisions. A Heart Not Easily Broken had me on the edge of my seat at some parts and also had me questioning how I would approach a relationship with a man outside my race…as liberal as I am, would I not have the same questions and doubts as Ebony? A lot of things come into play in A Heart Not Easily Broken, but it’s a story I think we can all relate too…if we’re honest enough with ourselves. I love the angst that M.J. Kane gives me…I love the absolute devotion and love these two characters have for one another despite the challenges they faced; good and bad. I really appreciated that she gave me a story from both sides; we got to read both Ebony's and Brian's POVs here. I dearly loved the HEA that M.J. gave me at the end, it reminds me that love truly really conquers all. No matter race, financial status, friend and/or family thoughts…it should truly be about how that person make you feel…safe, secure and finally happy. This is one review that is longer than most. A lot goes into it…so I thank you Ms. Banks for giving me a tale that challenged me…one that had me questioning my own thoughts and feelings. Thank you for a tale of just not diversity, but one of true love and friendship. I haven't heard of this one before, but it sounds like something I'd love. Thanks for the great review, Sharonda! Wow sounds amazing Sharonda and really interesting. I love that she's doing a bit of a twist on the point of view and where the struggles are coming from. Thanks for the heads up on it. I really loved that the she gave both their POVs...I thought it was so cool & its very rare to see. The story really is amazing...just a good story. Hi ladies! Okay, once again, Sharonda, I saw this review on Goodreads and loved it, but it's the first time I've seen it here on your blog! I'm glad you were able to pull the messages I have hidden in the story as they are a lot of what is really happening, despite what some would prefer to think. And thank you for selecting A Heart Not Easily Broken as a book to be featured on your blog! I'm glad you found my blog and thank you so much for the follows on FB & Tumblr. Oh this story just blew me away, it was heart-wrenching and good. Your welcome! 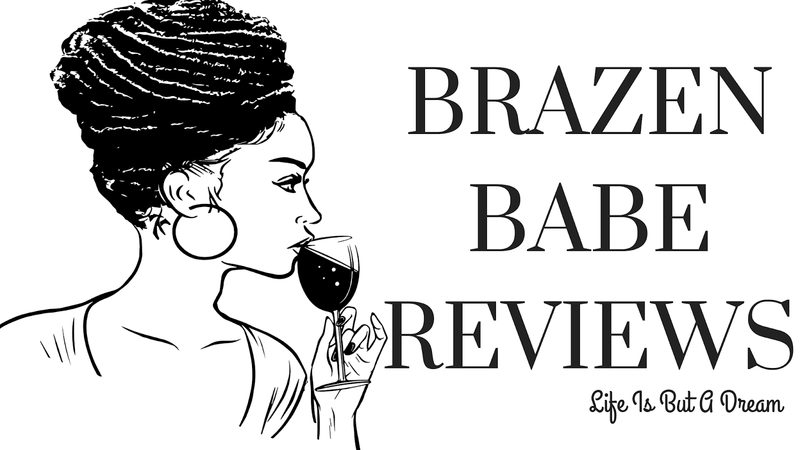 I also linked the reviews to each of my books review pages on my blog and shouted out your blog to my followers. Sharing the love!